The beauty and magic of pearls have been a source of fascination and desire since their discovery in ancient times. Viewed as magic charms, symbols of purity and love, or sources of wisdom and power, pearls are one of the oldest known gems and have been revered by countless civilizations. Legend has it that Cleopatra dissolved a large pearl in a glass of wine and drank it to impress Marc Antony with her wealth and power – a ploy that worked all too well. Knights in the Middle Ages wore pearls onto the battlefield to protect themselves from harm. Queen Elizabeth I so loved the white gems that she had them sewn on all her clothing and wore ropes of them around her neck. 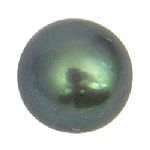 In addition to its fascinating beauty, the pearl occupies a unique spot in the world of precious gemstones. Instead of being found in a core of rock, a pearl is made over time by a living creature, an oyster. Prized by man, the pearl begins its life as an irritant to the oyster. 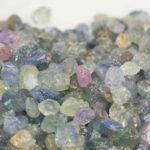 To protect itself, the oyster coats an intruding object or grain of sand with nacre, a crystalline substance that builds up over time, resulting in a shimmering, iridescent creation. The culturing process developed by man mimics nature. Pearl farmers implant a fine bead into the oyster where it cannot be expelled. The oyster does the rest and creates its lustrous masterpiece. 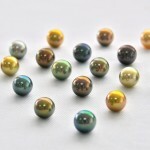 Remember that cultured pearls are precious jewels, but they are also softer and more delicate than other gemstones. 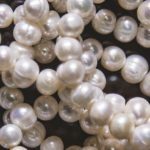 This article is compiled of lists of ways to care for your pearls, and things to avoid when caring for your pearls to extend their life. When purchasing cultured pearl jewelry, remember that high quality pearls will increase in value over time. In this article, we’ve compiled the following quality factors to help you evaluate any piece of cultured pearl jewelry before purchasing. Choosing a cultured pearl necklace is just like choosing any other piece of jewelry: you want to find something that matches your own style and appearance. 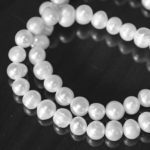 You can use this guide to necklace lengths to help you find the perfect pearl necklace for you. You may have heard the names of various pearls, but what do they mean? 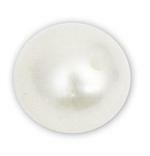 This article explains the difference between each type of pearl, and what they look like. To become a knowledgeable pearl buyer, you can use this guide to learn to tell between them. 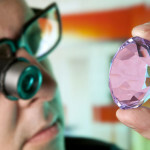 We’ve compiled a few simple tips to help you find a jeweler you can trust. 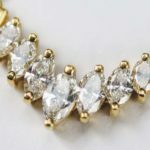 When buying pearl jewelry & other precious jewelry it is important to buy from a trusted retailer, to ensure you are getting a beautiful piece of jewelry that is worth your money.